This podcase is from an episode of Other People and was sponsored by MP Publishing. 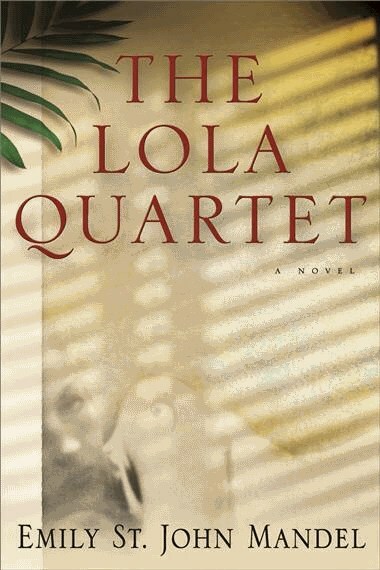 Emily Mandel discusses her new book, The Lola Quartet. 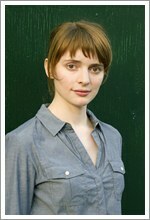 I’ll read absolutely anything that Emily St. John Mandel writes—even if it was a list of ingredients for a cereal box. But I’m not exaggerating when I say that this is truly her best novel yet. By examining identity through truly fascinating and realistic characters, she gets to the core truth of who we, as human beings, really are. I love how she combines gorgeous prose with an intriguing and captivating plot. Emily St. John Mandel is one of our finest contemporary writers, and I can’t wait to handsell TONS of copies of this book. Gavin Sasaki is a promising young journalist in New York City, until he’s fired in disgrace following a series of unforgivable lapses in his work. It’s early 2009, and the world has gone dark very quickly. The economic collapse has turned an era that magazine headlines once heralded as the second gilded age into something that more closely resembles the Great Depression. The last thing Gavin wants to do is return to his hometown of Sebastian, Florida, but he’s in no position to refuse when he’s offered a job by his sister, Eilo, a real estate broker who deals in foreclosed homes. Also, Eilo has shown him a photo of a ten-yearold girl who could be homeless and in trouble. The little girl looks strikingly like Gavin and has the same last name as his high school girlfriend, Anna, from a decade ago. Gavin—a former jazz musician, a reluctant broker of foreclosed properties, obsessed with film noir and private detectives and otherwise at loose ends—begins his own private investigation in an effort to track down Anna and their apparent daughter who, it turns out, have been on the run all these years. Anna had fallen into a routine, or as much of a routine as a seventeen-year-old can reasonably fall into when she’s transient and living in hiding with an infant. She was staying at her sister’s friend’s house in a small town in Virginia. The baby always woke up crying at four thirty or five a.m. Anna got up and changed Chloe’s diaper, prepared a bottle and bundled her into the stroller and then they left the basement where they were living, walked three blocks to the twenty-four-hour doughnut shop for coffee and across the wide empty street to the park. Anna sat on a swing with her first coffee of the morning and Chloe lay in the stroller staring up at the clouds. They listened to the birds in the trees at the edges of the park, the sounds of traffic in the distance. The climbing equipment cast a complicated silhouette against the pale morning sky. There was a plastic shopping bag duct-taped to the underside of the stroller. It held a little under one hundred eighteen thousand dollars in cash. That morning at a music school in South Carolina a pianist was sitting alone in a practice room. Jack had been playing the piano for four and a half hours and under normal circumstances his hands would be aching by now, but he was high on painkillers and he couldn’t feel it. There was an east-facing window in the practice room and the morning light had long since entered. The piano was illuminated, sun caught in the varnish and gleaming in the keys, the whole room shining, he was dizzy, his skin itched and he hadn’t slept all night. His roommate had gone to Virginia to rescue a girl whom Jack had imperiled and everything was coming apart around him, but so long as he kept playing he didn’t have to think about any of this, so he closed his eyes against the shine and launched once more into Gershwin’s Rhapsody in Blue.